A 23-year-old man shows up in Newport and claims he's Timmothy Pitzen, who disappeared at the age of six in May, 2011 from the Chicago area. DNA test results reveal the hoax. Northern Kentucky University announces plans to conduct an external review of its women's basketball program after former players accuse basketball coach Camryn Whitaker of verbal and emotional abuse. The Ohio House and Senate raise the state's gas tax to 38.5 cents a gallon and eliminate the need to display license plates on the fronts of cars. The Ohio legislature is considering several proposals, including requiring equal pay for men and women, joining a national effort to get rid of electoral votes and award the presidency to the candidate who actually gets the most votes, as well as allowing Ohio residents over 21 to carry concealed weapons without training or a permit. 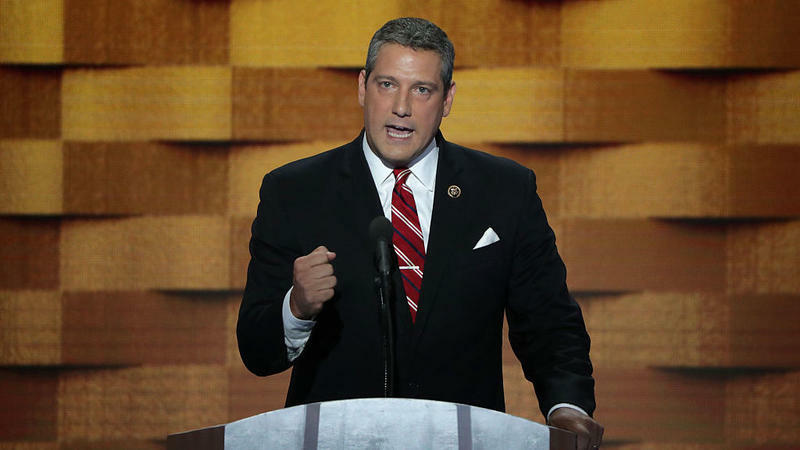 And Ohio Congressman Democrat Tim Ryan announces his candidacy for president. Joining Cincinnati Edition to discuss this week's top stories are, from The Cincinnati Enquirer, Columbus Bureau Chief Jackie Borchardt (@JMBorchardt), Breaking News reporter Max Londberg (@MaxLondberg) and Higher Education reporter Kate Murphy (@KateMurphyENQ); Ohio Public Radio Statehouse News Bureau reporter Jo Ingles (@joingles); WVXU Senior Political Analyst Howard Wilkinson (@howardwilkinson) and WVXU reporter Bill Rinehart (@billrinehart). An Ohio man is in federal custody after falsely claiming he was a boy missing since 2011. 23-year-old Brian Rini is charged with lying to a federal agent. District Attorney Ben Glassman says DNA testing shows Rini is not Timmothy Pitzen of Illinois who was last seen in 2011. WVXU senior political analyst Howard Wilkinson spoke with Jay Hanselman Monday morning about a recent Quinnipiac University poll of American voters that had some bad news for President Trump - 53% of those polled said they will not vote for Trump for re-election, including 60% of all women voters. Anything over 50% is the last thing an incumbent wants to see, although he has plenty of time to turn that around.